Burr Oak Lake Burr Oak Lake is located in southeast Ohio. The lake covers 664 acres of fishing water with 7.8 miles of shoreline at normal pool. 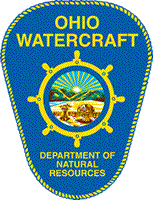 This lake is within Ohio Division of Wildlife District Four(4). Location The lake is the result of the Tom Jenkins Dam which was constructed across the valley of the east branch of Sunday Creek. The dam is about three miles north of Glouster on SR 13. 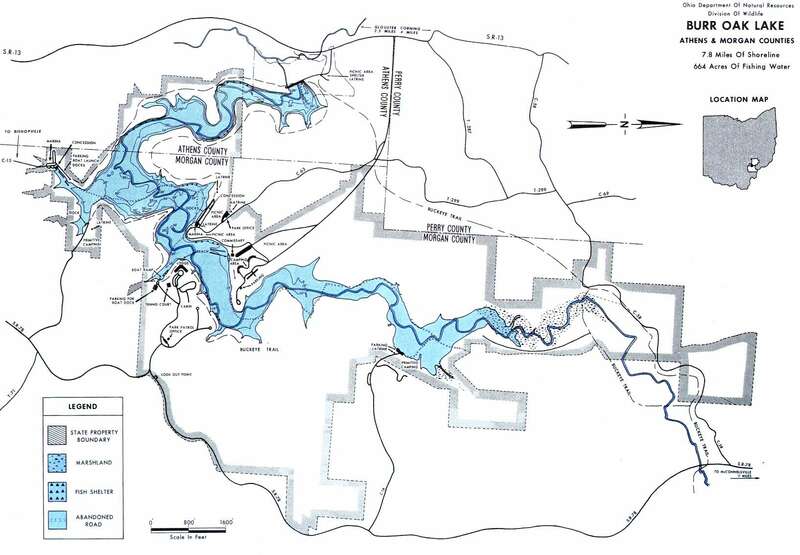 From the dam the lake extends southward approximately 1.5 miles and crosses into Homer Township and Morgan County. It then reaches northward about four miles into Union Township in Morgan County. Distance from Major Cities Approximately 140 miles south of Cleveland. Approximately 60 miles southeast of Columbus. Approximately 130 miles east of Cincinnati. 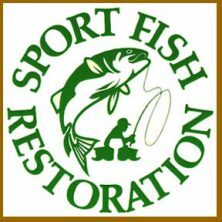 Fishing Opportunities Burr Oak has *Largemouth Bass *Bluegill *Redear Sunfish *Channel Catfish *White Crappie *Carp *Walleye. Boating Information There are four public boat launches and two locations at which you can rent a boat. 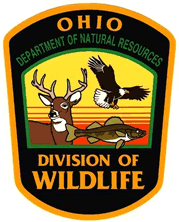 State Management The Ohio Division of Wildlife activities include stocking ~ construction of fish attractors ~ monitoring fish populations ~ physical and chemical water quality analysis.